Today I was blindsided in the Grange Feed and Farm Supply store. I sauntered through the door thinking about sprinkler heads but was hit by a smell: a warm grainy farmy earthy atmosphere made up of soil, cornmeal, of rawhide. It struck me that it was the first time I’d been there since my dog passed last August. For the 13 years of his life, it was our tradition to walk to the Grange for a bag of dog food and bones. That smell set me back 8 months. It felt ridiculous to fall apart in the store– among the ranch-hardened men, the rows full of gopher traps and hoses–so I stepped back outside. Karen, the Grange clerk, sat at a sunny table surrounded by racks of geranimums and cosmos. Though over the years we’ve only spoke of gardening tools and fertilizer mixes, I couldn’t resist the urge to disclose: She had always been a good friend to him, tossing him biscuits from behind the counter and kindly turning a blind eye when he snatched treats from the bottom shelf. “I am overwhelmed in there. The smell.” I sat down and explained. Having dogs of her own, she understood exactly. And she knew about smells. She told me that her father had stasis planted outside his front door. Now that he is deceased, she is undone by the faintest scent of the flower. Back in the car, I called a friend who had loved my dog almost as much as me, who accompanied us on many walks to the Grange. He listened, empathized, cried and then the conversation ended badly and I was left even sadder. Another loss. We broke up exactly one year ago today. One year. And still. What else can I do about these losses that sometimes seem frozen in place? 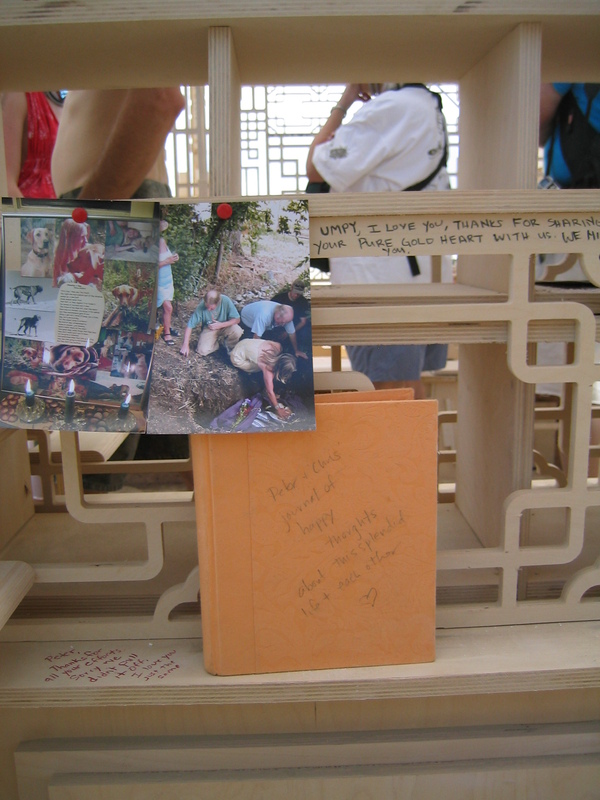 I’ve cried plenty–even made an alter in the Temple of Forgiveness at Burning Man. 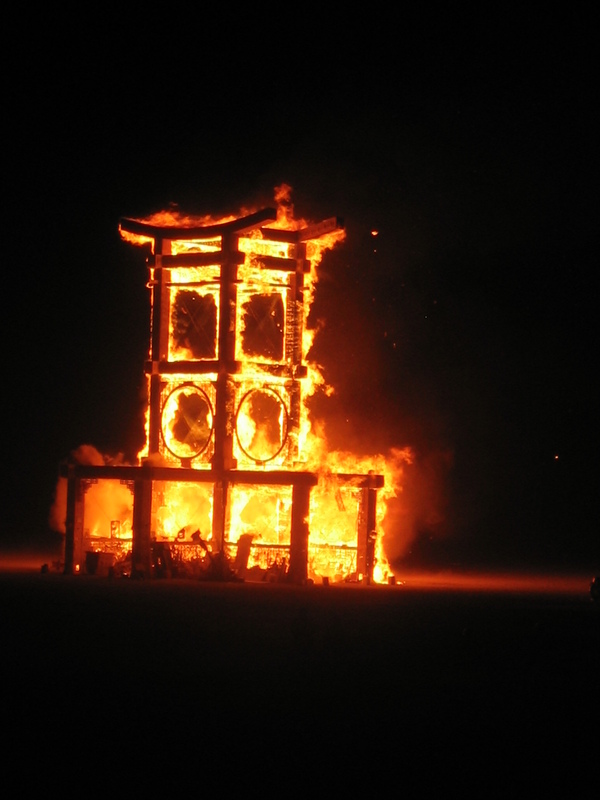 When it burned on the last night of the gathering, I felt a huge release as the spectacle of embers floated up into the desert night sky. I moved ahead and filled in the gaps with many great people, places, and things. I’ve spun suffering into stories. Back now at Woodrat Mountain, I’m getting my first real sense of “coring” a thermal–turning in 360s and rising into the wild blue and a whole new world has opened up again. So much terrain to explore. And math, which has always been irritating, has become suddenly fascinating, as I attempt to calculate altitude, windspeed, and glide path. Back on the farm. How did this happen? Just weeks ago I was happily traveling, flaunting my ultimate untethered freedom by paragliding first in Utah, then Torrey Pines, Yelapa, Santa Barbara, Big Sur, Pacifica. Not even gravity could catch me. Now I’m back in dirty Carharts and rubber boots, digging in the wormy dirt, and catering to the relentless demands of plants. If I slack off at all, they die. There is no playing hookie here. It’s the ultimate in rootedness. The very opposite of flying. It is my ninth spring at Eagle Mill Farm. That is nine seasons of laying out the irrigation, of tilling rows, digging holes, planting tomatoes. And for the ninth time, I am watching the same pair of Canada Geese arrive and loiter atop the greenhouse, nuzzle each other out in the weeds and make me sick with envy at the longevity of their relationship. 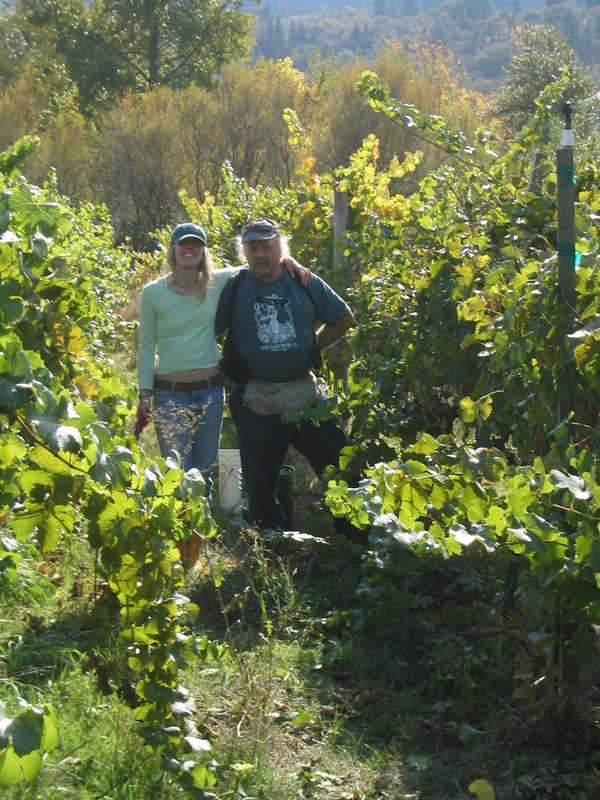 But, if the farm were my lover–as a friend once observed–I suppose I have succeeded in a nine year relationship, too. Fortunately, I’m not completely tied down; there is flying to be had here too. At Woodrat Mountain I have been taking my first real mountain flights. Over the past months, I have grown used to coastal flying, to complacently floating on the thick ocean air and snuggling in close to ridges. At Woodrat, I launch into vast open space, into pure thin air. The huge maws of three valleys lay open before me, the sky feels oceanic, and I am a speck–an agoraphobic seed tossed about in the sharp-edged air. It is a staggering sensation of smallness and vulnerability like I have never felt before. As we went over my P-3 requirements this morning, my instructor Kevin Lee suggested treating the fear like a small child and leaving it on launch to play while I fly.